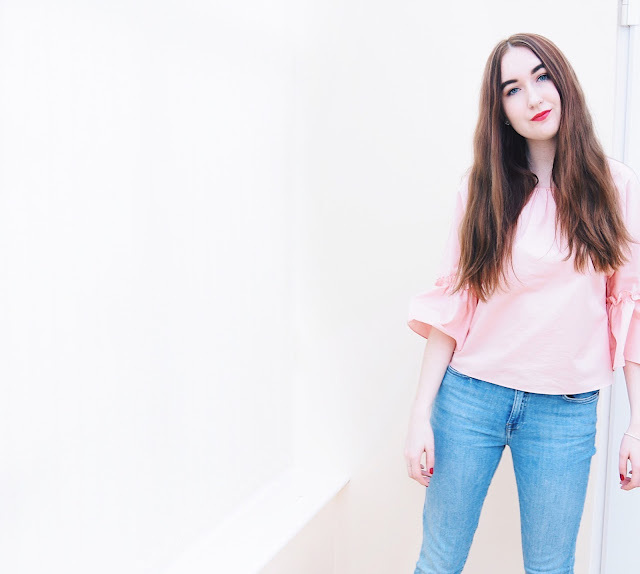 I have to be honest, the whole blush-pink-and-whitewash-denim is a look I'm really digging at the moment (lol I don't think I've said that phrase at all ever #notacoolperson) But serious, Its such a light and airy look which I tend to be turning to quite often lately. 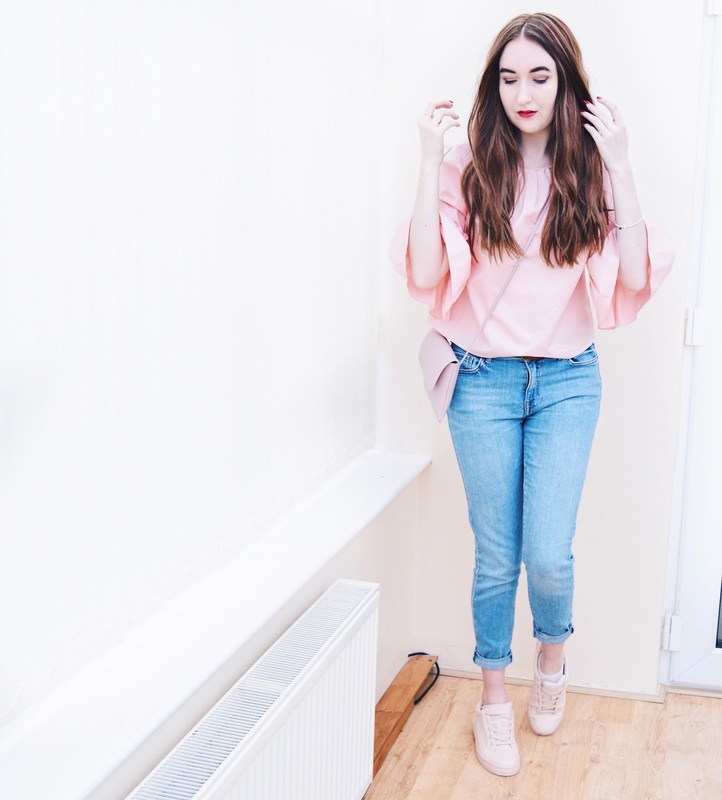 With this, I've also had a whole new found love for trainers, which I will admit is a really good thing because I'm a girl who's notorious for never having any practical shoes. These pink trainers were from Marks & Spencer and are actually my second pair of trainers I've bought this year, what a miracle. So finally, its taken me 20 years of living but I've finally learnt to buy sensible shoes!!! let's rejoice!!! I love everything about this. From the off pink shoes to the settle red lips. Bravo! Aw thank you so much lovely! 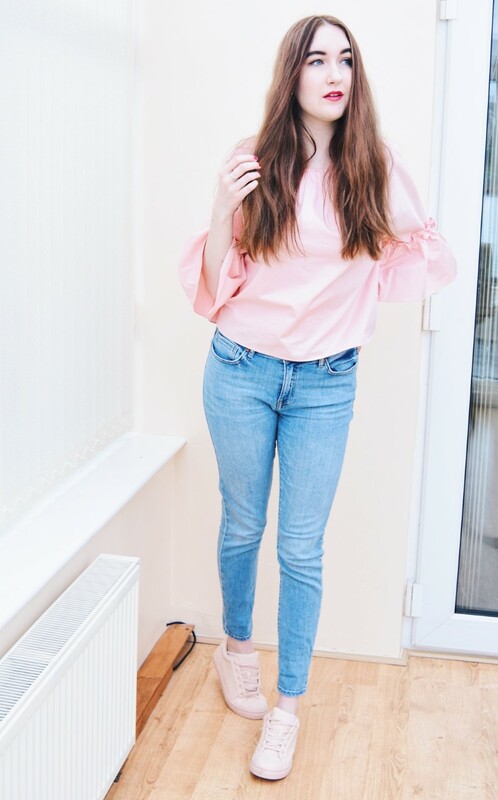 aww what a gorgeous look, i love that top! 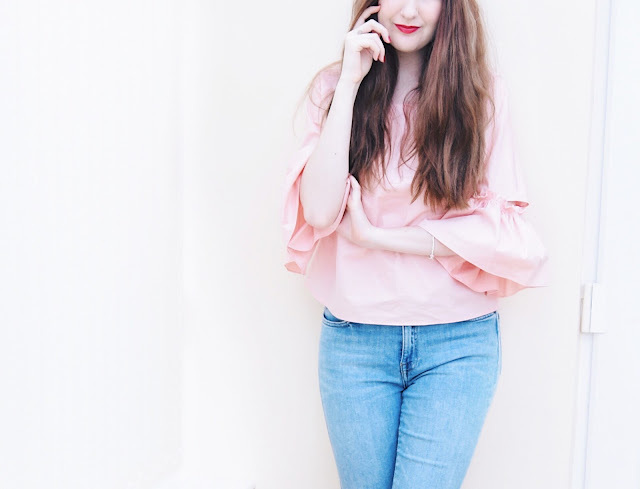 I love the pink colour of your Zara top and its very feminine styling! I also like the complementary contrast between the blue of your jeans and your pink top and trainers. It's a pretty outfit! 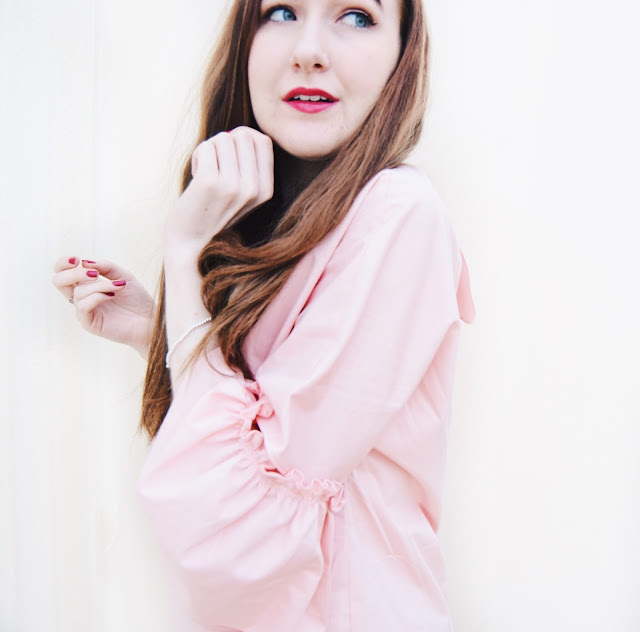 Ah thank you so much, I too loved the colour contrast - felt very summery in this! Out With The Old Face Cream.. In With The New. A Saturday Celebrating Mothers Day. Time For Another Spa Day? Things To Get Ticked Off The List.